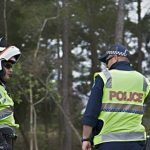 A parliamentary committee has suggested a number of new measures to be implemented in NSW this year in a bid to tackle speeding, and reduce the number of speeding-related road accidents. One of the measures under discussion involves fitting repeat offenders’ vehicles with speed limiting technology that would not allow them to drive faster than the nominated speed limit in a given area. 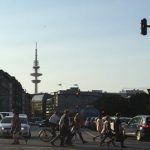 That suggestion follows a reported increase in the number of speeding offences by 23% last year. Devices to limit a vehicle’s speed are already fitted to many heavy goods vehicles and trucks to prevent them driving over 100km/h. Known as Intelligent Speed Adaption (ISA), the devices use GPS technology and a speed zone database to ensure that drivers can’t drive over the nominated speed limit in the area they are driving. The devices alert drivers to the fact they are speeding by making a sound and flashing a light. If the driver doesn’t slow down to comply with the speed limit, the vehicle automatically adjusts the amount of fuel injected into the engine until the speed limit is reached. In 2010, NSW Police undertook a trial of measuring devices on over 100 drivers, both private and business fleets. After analysing driver behaviour before and after the technology was installed, they estimated that if the devices were installed in all cars in Australia, they had the potential to reduce fatal crashes by about 19% and save approximately 200 lives a year. Why doesn’t everyone have these devices fitted? If these devices are so effective at reducing speeding, it might seem like a logical idea to fit them to all vehicles. As well as potentially saving hundreds of lives each year across Australia, ISA devices could make it impossible to speed, and therefore greatly reduce the time and effort required by police to catch and prosecute those found speeding. The use of ISAs has received criticism from National Motorists Association. Spokesman Michael Lane expressed concerns about the safety of the devices, especially outside urban areas. Activities like overtaking long vehicles could be potentially more dangerous with a speed limiter on as it would require the motorist overtaking to be on the wrong side of the road for longer. Other concerns around the use of ISA devices include fears that drivers would end up driving to the speed limit and not the conditions, and suggestions that better driver education and awareness could be more appropriate ways of reducing accidents and incidents of speeding. Revenue raising is another reason why it is unlikely ISA devices will be adapted universally. 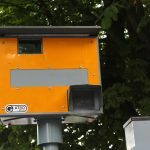 Although the government often denies it, speed cameras are a valuable revenue raising device, and preventing speeding altogether would mean a substantial loss in revenue. Estimates from last year put the amount of cash raised by speed cameras in NSW at around $558,000 per day. How would such a scheme work if it were implemented? If the parliamentary committee recommendations were acted on, drivers who have been convicted of more than one speeding offence would be required to pay for the installation of an intelligent speed adaptation device on their vehicle. This would make it impossible for them to break the speed limit while they are in that car. 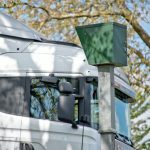 Other recommendations from the committee include the roll-out of the point-to-point speed cameras that are currently used to detect speeding truck drivers to cover all vehicles. Point-to-point cameras measure the average time taken to drive between two points to calculate whether a vehicle is speeding over a longer period of time. 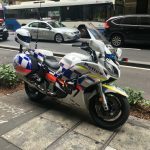 It was also suggested that police undergo more extensive training on crash evaluation and be provided with more crash evaluation data, and that the Department of Education as well as Transport NSW both undertake strategies to educate and increase awareness about the risks of speeding across age groups. No response has yet been given to the committee’s recommendations. With so much revenue being raised by speed cameras, it seems highly unlikely that the government will take drastic measures to eradicate speeding altogether, and as there are potential safety issues with ISA devices, it may be better if we aren’t all using them. Increased training and driver education could go a long way to helping keep roads safer for users. 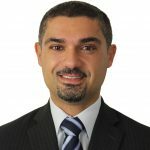 The Use of Drones in Different Situations: Should There Be Greater Legal Clarity?